Juan Font havde en ønske om at betalinger skulle køre så gnidningsfrit som muligt, hvilket gjorde OpenSolution til løsningen! Juan Font was in need of a cashier system that was customized for their needs. The restaurant had a wish that the payments should be handled as smoothly as possible. The new system made it possible to decrease the receipts to a third, which is both cuts costs and is environmentally friendly. Moreover, the tip can now be directly registered, which is comfortable for our staff. The BackOffice function is part of the complete solution that OpenSolution has, which is part of why Juan Font is so pleased with OpenSolution and their products. BackOffice synchronize with the payment system to save time and administrative costs. 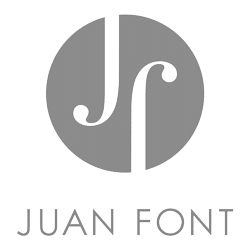 "To be able to see the sales in real-time through OpenSolutions BackOffice program and change prices without the need of being present in the store, is very efficient for Juan Font."